Known for its relaxing ambiance, the hotel appeals to those who enjoy healthy eating, unique-health conscious amenities and togetherness. From savory dining and sun-swept beaches, to relaxing poolside activities and casual elegance, each guest finds a personal retreat and memorable moment to call their own. 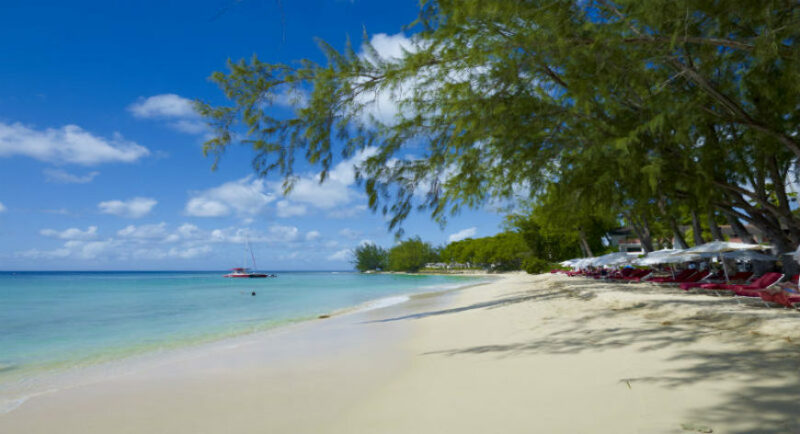 The resort creates countless opportunities to enjoy its environs, from themed beach dinners to paddle boarding clinics (a favorite Barbadian pastime) and more. 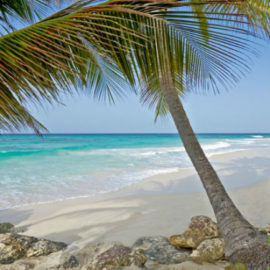 Hotel is beachfront with up to 1,500 feet of white sand beaches, only steps away from any location in the resorts. 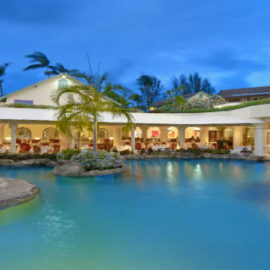 Located on the renowned Platinum West Coast of Barbados overlooking the calm waters of the Caribbean Sea – just 40 minutes from Grantley Adams International Airport and 20 minutes from downtown Bridgetown, the capital of Barbados – Colony Club is situated within seven acres of lush tropical gardens. 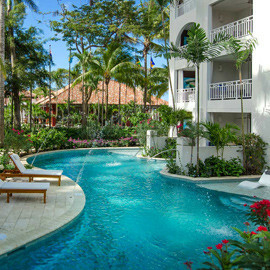 This timeless resort boasts 96 stylish guest rooms and suites each with a private patio or balcony and some with private access to the lagoon pool. Room amenities include flat screen TV, cable TV, air conditioning, bath tub and shower, hair dryer, MP3 docking station, clock radio, stocked mini bar, tea and coffee facilities, iron and ironing board, bathrobes and in-room safe. Lush and tropical are the views captured from these guestrooms. The décor is both sophisticated and charming - a perfect blend to enhance the experience at Colony Club. This category accommodates up to 2 adults and one child. The bedding configuration is one king bed or 2 twin beds. Spectacular are the ocean views from these guestrooms where serenity begins at first light in the comfort of your balcony and is awe-inspiring at sunset. The décor is both sophisticated and charming – a perfect blend to enhance the experience at Colony Club. This category accommodates up to 2 adults. The bedding configuration is one king bed or 2 twin beds. Conveniently, situated steps from the meandering lagoon pools, these rooms are lovely in design, spacious and are unique in that they provide private access from each balcony or patio to the lagoon pool. 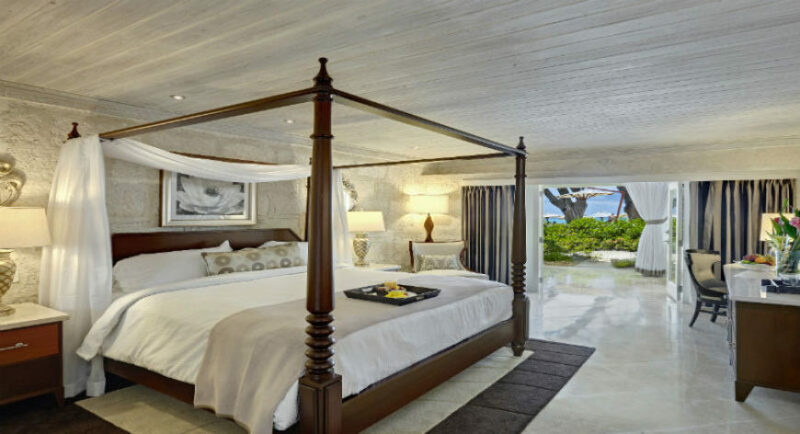 Enveloped in lush and tropical surroundings, these rooms are ideal for a serene holiday experience. This category accommodates up to 2 adults. The bedding configuration is a choice of a king bed or 2 twin beds. Views of lush tropical gardens and gently flowing lagoon style pools abound from these oversized guestrooms. 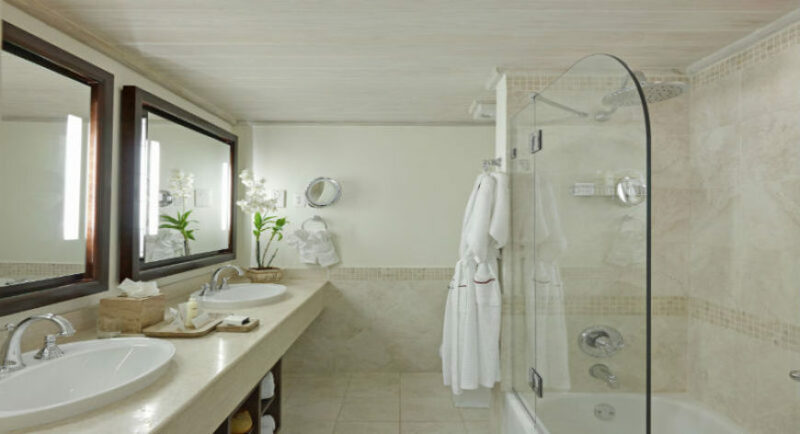 Jr. suites feature a king size bed (or 2 twin beds) with a sitting area (with a sofa bed) and a spacious marble bathroom featuring a decadent sunken tub. The décor is sophisticated and charming - a perfect blend to enhance the experience while staying at Colony Club. This room category accommodates up to 3 adults or 2 adults and 2 children. 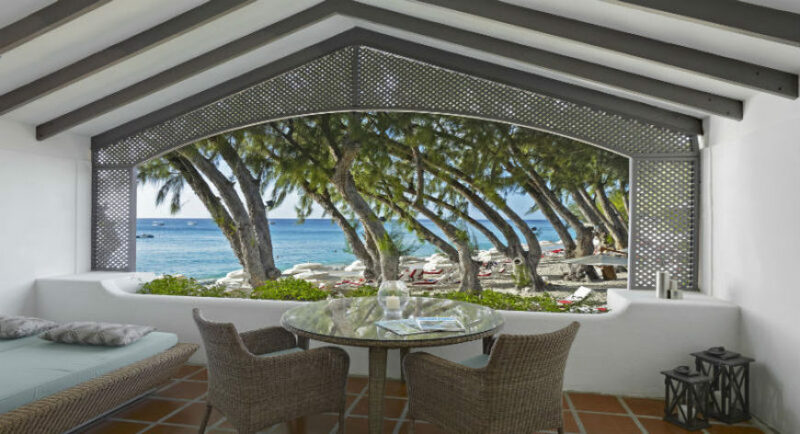 Spectacular ocean views - these guestrooms are located just steps away from Barbados’ fantastic shoreline. Both spacious and tasteful, the décor is sophisticated and charming – a perfect blend to enhance the experience while staying at Colony Club. This category accommodates up to 2 adults with one king bed. One Bedroom Suite Ocean View Limestone, mahogany, marble and exclusive amenities are standard features in these generously appointed suites – the one bedroom suites provide the ultimate in comfort and indulgence at Colony Club. These 4 suites feature a bedroom with a king size mahogany four poster bed and a separate living area complete with a pull out sofa. This room category accommodates up to 3 adults or 2 adults and 2 children. Nespresso™ machines & organic teas. Enjoys a striking, open-air setting with superb views over the hotel’s tropical gardens, aquamarine pools and ocean beyond. Recently renovated, serving breakfast with organic teas, juicing and healthy dining choices. Menus are tailored for local cuisine and seasonally inspired meals. 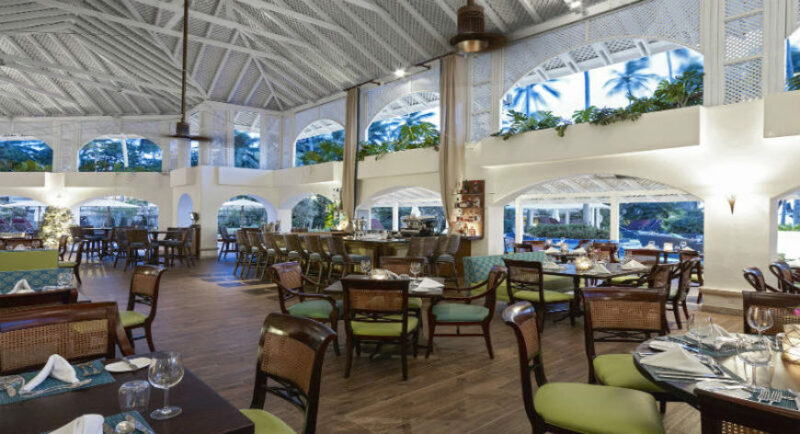 Serves tropical concoctions, refreshing cocktails and light casual fare with a daily Happy Hour from 5:00pm –6:00pm. This bar is located on the pool/beach deck and is also a swim-up bar. In addition, weather permitting, guests can enjoy lunch on the deck as well as theme dinners such as the weekly Lobster & Jazz and Seaside Grill.